Our next stop is to be Mae Hong Son and this is where Gordon has selected a hotel for our night’s stay. Please note that I am referring to this hotel as Gordon’s choice. I want to make absolutely sure that you understand that the blame (or the kudos) for the hotel rests clearly on Gordon’s shoulders. I trust that you already suspect there will be little kudos to be handed out tomorrow morning. Mae Hong Son is a remote border town with a noticeable Burmese influence. It is a much larger town than Soppong with a small but active tourist trade based on “adventure travel” The term “adventure travel” can cover a lot of sins (and I use that term advisably). To the average traveler it means elephant rides, white water rafting and trekking. But if you know the right tour company your adventure package will include the above plus all the dope you can smoke, and a night or two in the home of a tribal family where you will share a pipe (or two, or more) with some of the local tribesmen. I think that counts as “high adventure”. As much as I enjoy visiting the hill tribes, I have no intention of trekking, or of staying in a bamboo hut with several other people and no visible toilet. Instead I would like to stay in a nice comfortable hotel and drive to the tribal villages. I think it is safe to presume that Mae Hong Son, with its tourist industry, will have some decent hotels. I am writing this after our stay in Mae Hong Son and am still presuming that to be true, but thanks to Gordon, I have no proof of it. 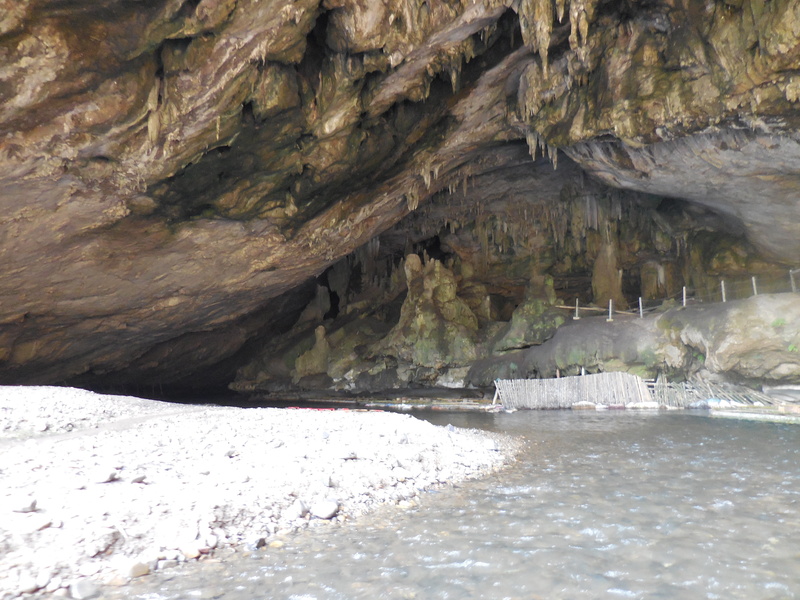 Our first stop after breakfast at the River Inn in Soppong is to the local caves. 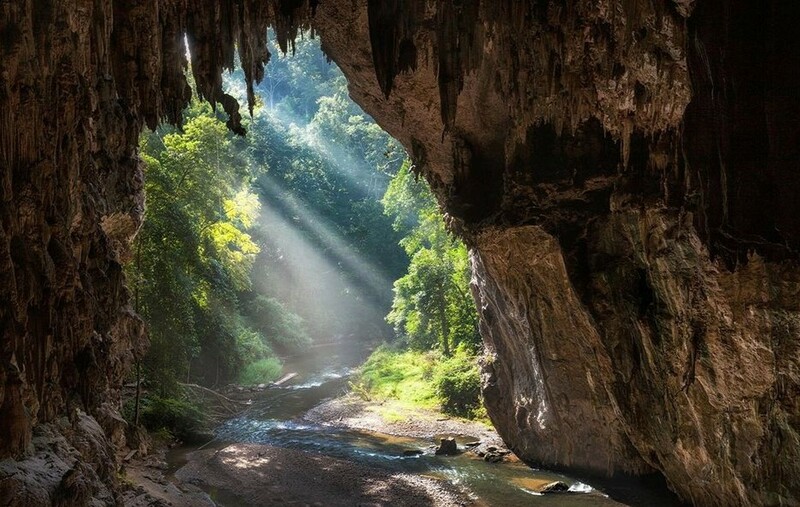 The area is famous for its caves and we are heading for the Tham Lod Cave, a particularly large one, with a river running through it. In fact it is more like a tunnel with three huge caves off it. We have to have a guide and a private boat to travel through it, and pay about $15 for the privilege. This is quite a large amount of money for the area and so we assume that we will get an English speaking guide and a decent boat. The boat is little more than a long narrow raft made of half a dozen bamboo poles strung together. There are four of the smallest seats ever seen perched on top. I assume that this is a boat for children. Surely they can’t expect me to sit on that seat, and if they do how in hell are they going to get me up off it. But our local guide, without the help of one word of English assures me that I am to get on this boat. Gordon has already done so with great style and aplomb as the photo shows. Fortunately I am holding the only camera and so there are no photos of me, and if there were they would not be published. Just take it for granted that I board the boat with even more grace than Gordon. 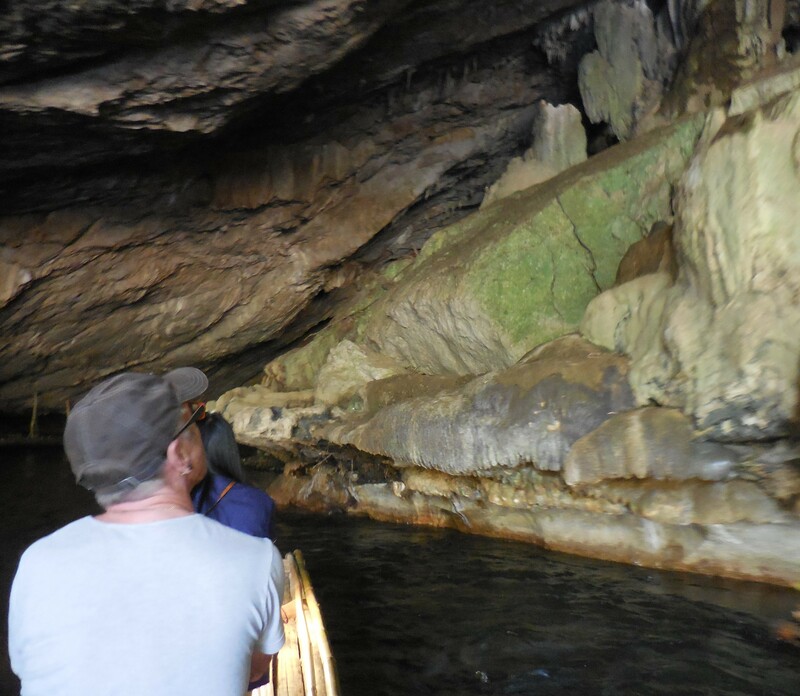 The boatman does not get on the boat, but instead pushes us out into the middle of the river where the fast flowing current carries us into the cave. The river is shallow and the boatman wades along side us guiding the boat around any protruding rocks. As the tunnel is over a mile long and pitch black, I add that to the long list of jobs I would not enjoy. There are three large caves off the tunnel and we stop to explore each one. Unfortunately this involves getting up from that ridiculously small seat each time. To do so while still looking fabulous is a great test of style, but I think I manage it rather well. I also manage to do it without falling in the river which is equally as impressive. The caves are huge and reach way up inside the mountain. Exploring them involves climbing hundreds of narrow wooden steps, built like step ladders. There are flimsy handrails to help but they are covered in bat guano which makes it rather unpleasant. Our guide scurries up them at an amazing pace holding the only light we have and leaving us to gingerly negotiate each step at a much slower pace, without the help of light. 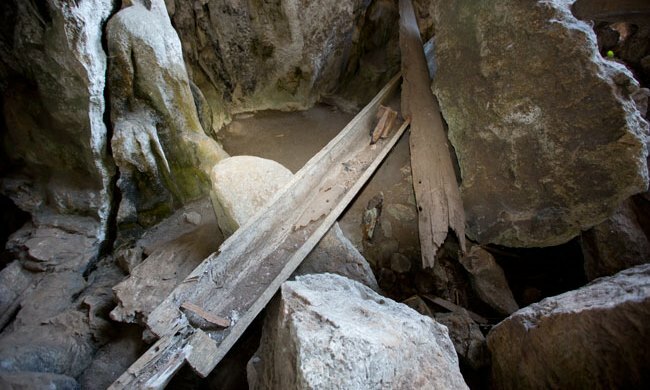 Gay men are not made for unlit caves, rickety stepladders or for clutching handfuls of guano. We try to act as if this sort of thing is an every day occurrence for us. I am not sure that we are very successful, but to our credit we do manage not to squeal at our discomfort and our guide manages to totally ignore our discomfort. In another cave we follow the guide to where there are cave paintings of a similar age, but sadly they are barely visible now, having suffered badly from the years of tourists who were allowed to touch and take photos of them. 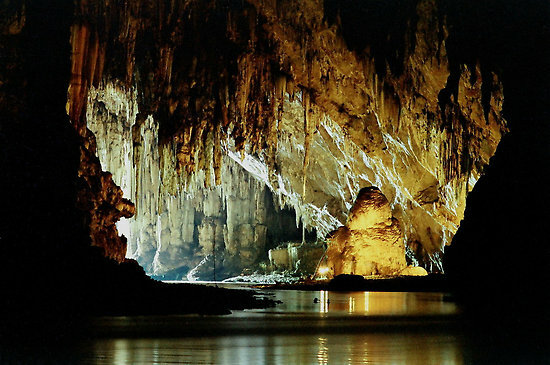 We grudgingly admit that the whole caving experience has been worth it. Culturally it is fascinating. Plus it has done wonders for our calf muscles and acting skills. So once again you are proving that you are not just fabulously impressive but impressively fabulous!. John, you are so right!!!!!!!!! Went spelunking in the Yucatan’s underground rivers/caves and seeing what you have as a “boat,” I’m glad we had to hike and swim! Practice alone and in front of the mirror. Imagine a scene, like its really happening to you, and act on it.